Clark and I are both in our mid 50s we have been married for many years and have just pushed our last child out of the nest, we are excited about the years ahead and plan on filling them with lots of travel. Convenient to shops and restaurants and a short drive into downtown. Clean, all of the amenities. And the heated bathroom floor was life changing. Highly recommend. Perfect property in Cadboro Bay! This was my second time staying at this property, it has become my favorite place to stay when I am in Victoria. The location is excellent with theclose proximity to UVic and the short walk to Cadboro Bay Village. I also appreciate the attention to detail the owners have taken in their property. I will definitely be booking this place again in the future. This is a perfect property. I stayed for 2 weeks and it was a lovely home away from home. The hosts are awesome, I only have good things to say about this place. It is a quick 5 minute walk to grocery store, restaurants and beatiful Cadboro Bay. I have to be back for business in the new year, and I already rebooked this property. I am so happy I found this little gem. Location is so close to Cadboro Bay and the University. All the comforts of home with a very comfy bed. Very comfortable ground floor suite in large house. Private, 7 minute walk to cadboro bay beach - but 10 minutes uphill coming back- fine for walkers- bikes also available. Hosts most accommodating. 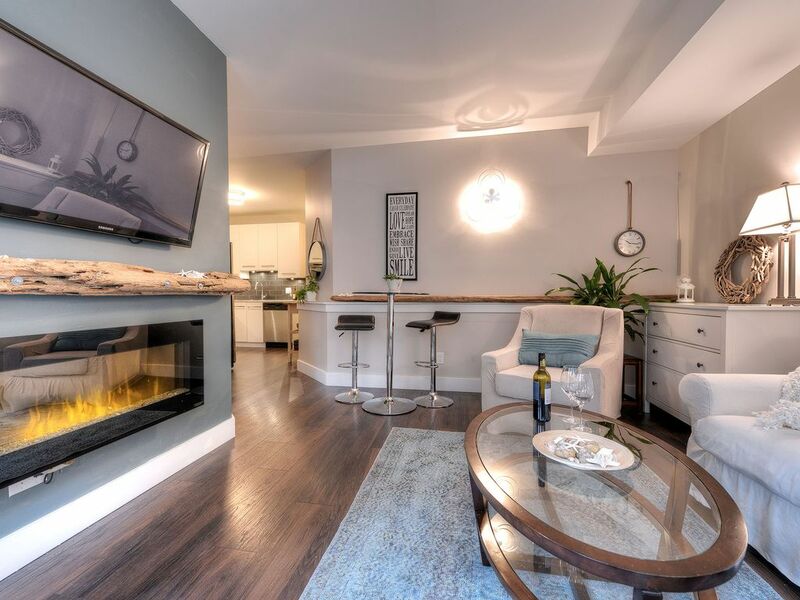 Charming and bright, this modern condo has everything you need for a comfortable stay in Victoria. A short walk from Cadboro Bay beach, along with pub, restos and grocery all nearby.